Flagstaff, Arizona sits in the mountains at an elevation of 6,910 ft. Known for its crisp, refreshing mountain air; Flagstaff is extraordinarily beautiful during the summer time, with average temperatures in the 70s to 80s. One of the best things about Flagstaff is its breathtaking view of the San Francisco Peaks, sitting about 7 miles north. If you decide to visit this adorable town, be sure to visit its historical downtown, not to mention the many surrounding sites and book early. Looking for advanced travel to Flagstaff can score you some cheap flights and killer hotel deals. Sedona is a short drive down the switchbacks, and home to some amazing red rock country. If you are a hiker, this is your place. Even better than Sedona, with 5 million visitors from all over the world just between the months of May and October, the nearby Grand Canyon is a must see. Flagstaff, being a mere 90 minutes to the south rim of the Grand Canyon, gives the perfect opportunity to visit astonishing canyon created by the powerful Colorado River. With an unbelievable 1,960 miles of shoreline, Lake Powell is the aftermath of the Glen Canyon Damn on the Colorado River. Filled with awe-inspiring canyons and deep blue water, Lake Powell is best visited by boat, where you have access to all of the amazing sites it has to offer. Lake Powell is home to some jaw-dropping views that words cannot due justice. With its colorful canyon walls and oddly shaped rocks, it looks as if it's not from this world. If you enjoy water sports and exploring without limits, you would find yourself in paradise here. Lake Powell is truly a site like no other. Only a state away, tucked away in the Sierra Nevadas where California and Nevada meet, sits Lake Tahoe at an elevation of 6,237 ft. While it may snow through the winter, Lake Tahoe's temperatures are optimal during the month of June, staying in the 70s. The beautiful green, forest covered land has many activities to offer including hiking, boating, swimming and, of course, fishing on the gorgeous lake that is home to many different varieties of Trout. However, if you prefer the city, Los Angeles is one of the best. Placed on the Pacific Coastline, L.A. is a magnificent city to visit. It is surrounded by numerous surf-influenced beach towns, including Long Beach, Huntington Beach and Newport Beach. If you don't mind a two-hour drive, Big Bear Mountain is a great spot to enjoy many recreational activities. California has it all. Its one of the only states where you can visit the warm, sandy beaches and snow covered mountain tops in the same day. 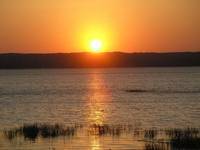 Though there are many more beautiful places in the western region of our country, the east has a lot to offer as well. Florida's panhandle, known as the Emerald Coast for its emerald green waters, doesn't get the recognition it deserves. We all know South Florida is a great site to see, being home to the Florida Keys and Everglades, but not too many speak of the northwestern region of the state. This could be what is keeping it from becoming over populated like the south, if that's the case; maybe less recognition is a good thing. Navarre beach says it best, "Florida's best kept secret." The Florida panhandle is home to sandy, white beaches unlike any others in the states. The combination of the brilliant emerald green ocean and snow white, soft sand makes this spot a choice place for vacationing. Our Country is big. These are only a few prime examples of places that are beautiful vacation destinations during early summer time. There's discount airfare available for every place imaginable. So decide which spot is for you and start searching for some cheap flights! They always say "live life to the fullest," and what better way than visiting all the breathtaking places this country has to offer. The post-holiday, early-winter doldrums provide an ideal time to start daydreaming about summer vacation. Whether that means a camping trip in a national park, some serious beach time, or a European jaunt, timing is everything when it comes to finding the best deals and availability. But is booking early always the right approach? Here's the rundown on when and why to book summer cruises, vacation rentals, and trips to Europe and national parks. With the kids out of school and the entire summer ahead of you, planning a summer getaway is always a wonderful way to spend the time. This summer, stay away from the crowded hotel resorts and rent a relaxing summer cottage by the lake. 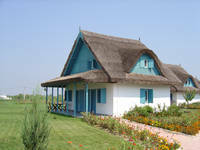 Most rental cottages are privately owned and are decorated according to the homeowner’s personal taste. Therefore it’s always important to bring along some personal items to make your new home away from home feel like your own personal space. • Bed Linens: Rental cottages will provide bedding for guests to use. Although, it’s always nice to bring along your favorite pillow to rest your head against at night and perhaps a decorative throw or blanket to cuddle up in while lounging on the porch swing at night. One of the greatest cities the world has ever known, nowhere does the cliché of East meets West, old meets new, apply more aptly. The last few years have seen Istanbul thrive with boutique hotels, uber-trendy bars and gourmet restaurants adding to its already intoxicating mix of historic and cultural sites. Watch it ramp up another notch as the city becomes a European Capital of Culture in 2010. Every urban travel experience is different, but the world's biggest cities share some common traits. Although it's true that big cities generally are more expensive to visit than less populous urban areas, you'll can find opportunities for savings if you know where to look. For example, big cities frequently offer you and your travel party safe, swift and inexpensive rides to the airport via mass transit options that aren't available in smaller towns. 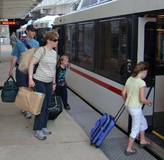 Take a look at a step by step approach to saving money on urban travel. These pictures and tips were captured in St. Louis, but they can be applied to any large city in the world. India is the seventh largest country by geographical area, the second most populous country in the World with over 1.12billion people. 70% of this population live in rural areas while the other 30% although in recent decades migration to larger cities has led to a dramatic increase in the country's urban population. Traveling to rural India is an experience in a great number of ways. It best shows the way of life of the most common people and the roots of all Indians. The way of life is simple and at times difficult. So traveling these areas can be quite an experience and vastly different from other European or American Countries. After a rigorous selection procedure, Dubai (UAE), Johannesburg (South Africa), Orlando (Florida, USA), Antalya (Turkey), New Delhi (India) and Rio de Janeiro (Brazil) have all emerged victorious. Each will stage one of the six World Travel Awards regional ceremonies, with victors progressing to the Grand Final in London (UK) in November. Celebrating its 17th anniversary, the World Travel Awards has grown into a global search for the very best travel and tourism brands, and is heralded by the Wall Street Journal as the "Oscars of the travel industry". The growth of sport tourism - a sector now worth US$600 billion annually - is reflected strongly in the choice of this year's WTA host venues.